UPDATE: Well, I received no less than 76 applications. I'm honored, guys. For now, though, I'm gonna have to shut down submissions. Thanks to everyone who expressed interest! I'll be in touch as soon as I can. You know how this works – whenever news hits, I'd like for you to cover it as soon as possible. I'd prefer to find someone who is available in the morning and/or the afternoon. I am not expecting you to sit around and wait for news to drop. Rather, if you're available during those times and you happen to see something of interest, report it. 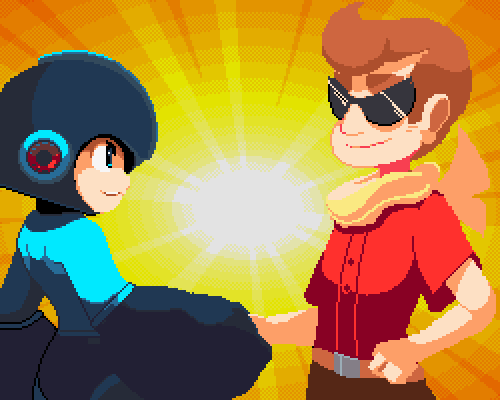 With Mega Man 11 approaching, news will only increase over here. Your help will be very much appreciated! Rockman Corner is a hobby, not a business. I make very little money from what I do here. So please know this is not a job. What I can offer to you, however, is this: you'll have the chance to play new Mega Man games first, participate in special events, and get free stuff from Mega Man licensees (figures, merchandise, etc.). Take it from me, those are some nice perks. Please bear with me as I sort through applications. It'll probably take some time, but better to get a jump on it now than later. With that out of the way, I look forward to working with you guys! I really and truly appreciate it. Thank you for your support!